Whisky connoisseurs and collectors from around the world will have a rare opportunity to acquire a single malt from an extinct distillery thought to be one of the oldest in Scotland. Littlemill has released Littlemill 2017 Private Cellar Edition – a new limited edition whisky celebrating the last precious drops of single malt from the distillery. As a result there is now a very limited amount of Littlemill single malt left and the spirit of the distillery lives on in a series of sought-after expressions. Priced at £2,250, Littlemill 2017 Private Cellar Edition is the second in the series celebrating this rare whisky. It offers aficionados the opportunity to acquire a piece of Lowland Scotch whisky history. The latest release comprises 500 individually numbered limited edition bottles encasing the precious 27 Year Old whisky in the Littlemill Lowland style. 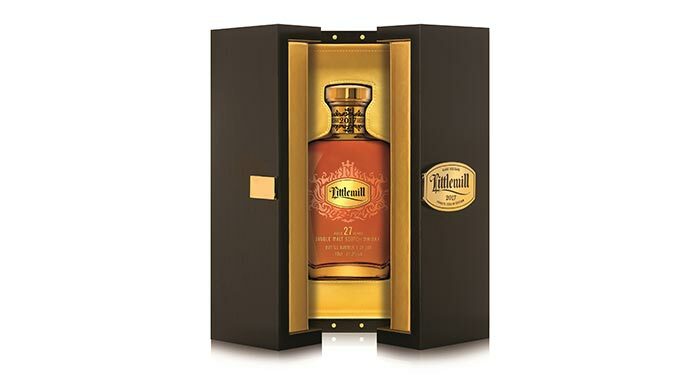 Each opulent decanter is presented in a luxurious case which also features a unique piece of Littlemill cask used to mature this rare malt, as well as a miniature of the precious whisky itself. To create the edition, Master Blender, Michael Henry selected eight casks from 1990 to pay homage to the true Littlemill distillery character; creating a lighter, floral spirit, reminiscent of the triple distillation of the Duncan Thomas era. Michael Henry, Master Blender at Loch Lomond Distillery, said: “It is rumoured that illicit distilling took place at the Littlemill distillery from 1750 and even for centuries before, possibly making it the world’s oldest whisky distillery. Littlemill 2017 Private Cellar Edition has been crafted from casks with the strongest floral character and subtle wood notes from distillations between 11th and 19th May 1990. The casks were filled at 68.8% strength, allowing them to retain more of the distillery character throughout the maturation in refill bourbon barrels. Ageing in refill bourbon barrels gave a softer wood influence and once selected the casks were married in fresh bourbon barrels for 12 months before bottling. 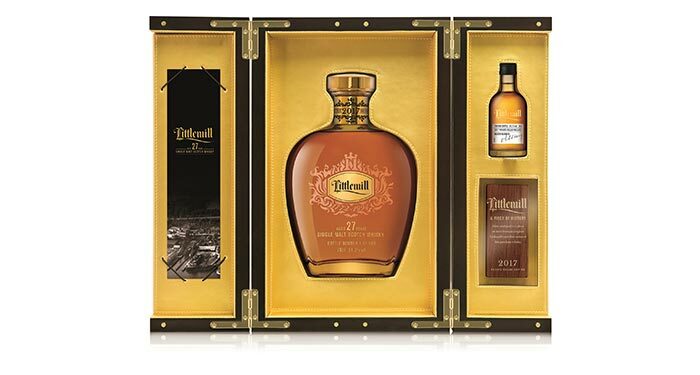 Littlemill 2017 Private Cellar Edition follows Littlemill 2015 Private Cellar Edition. In the UK it is available to buy at most independent specialists including The Whisky Shop, The Whisky Exchange, Royal Mile Whiskies and Master of Malt and it will also be available in global markets, including Taiwan, France, Germany and Travel Retail. Nose – Green herbal notes of peppermint and eucalyptus lead into natural perfumed floral bursts of honeysuckle and lavender. Cedar wood elements give structure. Taste – Vibrant fruit is prominent with a background soft, subtle sweet character. Mouth-watering crisp green apple, zesty grapefruit and tart juicy pineapple are followed by green tea notes and a delicate clover honey sweetness. Finish – Warming spice of stem ginger and nutmeg liven the tongue before a long peppermint and sugar syrup finish.